ESSA Freight Services provides over 150,000 square feet of secure, clean, dry and heated warehousing space in our Buffalo, New York facilities. Strategically located on the second busiest border crossing with Canada, ESSA is ideally located only an hour and a half from Toronto and a day’s drive form 60 percent of the Canadian population. Buffalo is also a day’s drive to 50 percent of the US population. This makes ESSA the perfect location to warehouse products from Canada destined for US customers. Canadian shippers can send truckloads of product to ESSA warehouse (if needed, ESSA can arrange transportation) on one brokerage entry and ESSA can store and de-consolidate the volume shipments into smaller less-than-truckload or even small package shipments and ship them to US customers using ESSA’s extremely competitive US domestic rates. This saves considerable amounts of time and expense for the Canadian shipper. 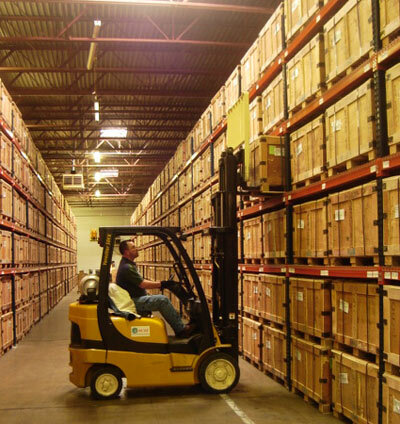 By having a US warehouse presence, this also makes customer pick up orders a breeze. Canadian shippers that have customers in the US who would like to arrange their own transportation but that do not want to deal with the border can easily work with ESSA to pick up orders at our (your) warehouse on the US side of the border. For Canadian importers or US exporters, ESSA is also the perfect spot for US products to be stored and consolidated prior to entering Canada. Canadian Shippers (exporters and importers), ESSA can be “your” facility in the US. ESSA can provide you with a US address, virtual or physical office and warehouse space. You can maintain visibility of your inventory, view stock status, and run many different customized reports with our online warehouse management system. The system enables ESSA to notify you when products enter or leave the warehouse. You can also view documentation to include signed bills of lading. ESSA Freight Services has been in business since 1946! We create and enjoy a close working relationship with our customers. Our caring staff includes experienced warehouse workers, certified transportation brokers, and a professional administrative staff. Our people will work with you to customize a warehouse and transportation program that will enhance your business. ESSA offers very flexible services to include, cross-border transportation, warehousing, distribution, fulfillment, pick and pack, labeling, cross-docking, container loading & unloading, contract labor, all in a clean heated FDA inspected warehouse. Transportation services include very competitive rates for TL, LTL, small package, intermodal, air freight and ocean freight. Contact us and let ESSA be your answer!